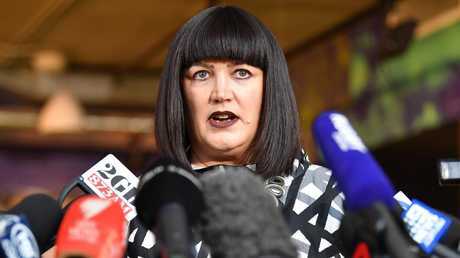 Israel Folau made a solemn oath to Rugby Australia boss Raelene Castle before accepting a $4 million offer to stay in the game for another four years. Now that deal's about to be torn up. The code-hopping superstar vowed that he wouldn't post any more homophobic comments on his social media account after all hell broke loose when he did it a year ago. A sensitive man with a deep sense of faith, Folau acknowledged the hurt and pain that his remarks had caused to the wider community and even shook hands on the deal. 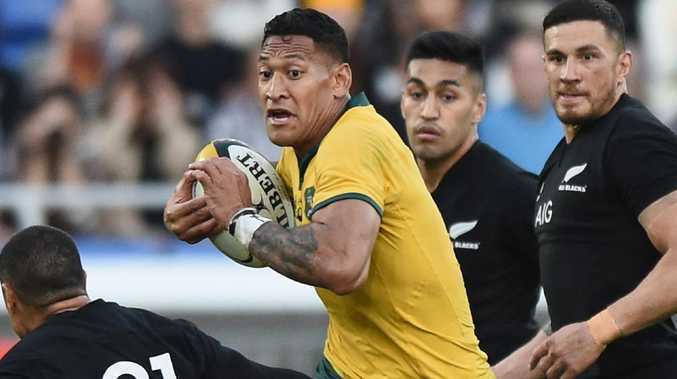 But just to be safe, the Wallabies coach Michael Cheika also spoke to Folau to make sure he understood the impact divisive comments on social media can have. And so too did the NSW Rugby chief executive Andrew Hore. Once they were all satisfied that Folau understood and would keep his word, the papers were signed and one of the richest deals in Australian rugby history was sealed. Then last week, just two months after the mega deal was announced, Folau broke his promise, posting on Instagram that hell awaits "drunks, homosexuals, adulterers, liars, fornicators, thieves, atheists, idolators". 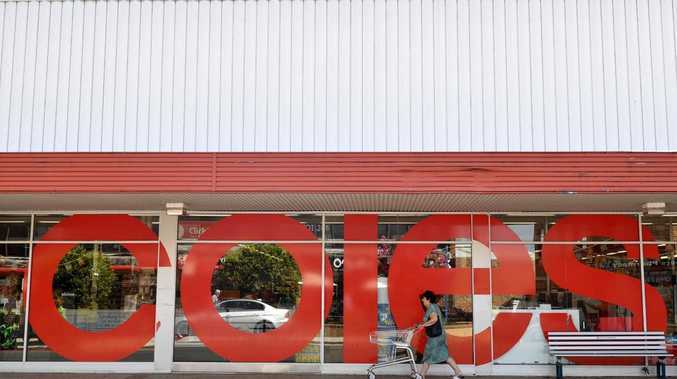 When Rugby Australia spoke to him, he showed no remorse, so they served him with a notice for a high-level breach of the Code Conduct, with the intention to terminate his contract. "It's very disappointing from my perspective because I had a very direct and specific conversation with him about the expectations that I had," Castle said. "He accepted that conversation, he said that he'd understood that conversation, he shook my hand at the end of that conversation, said he was very clear with it and yet he has gone off and done what he's done." Folau has until Wednesday afternoon to either accept the breach, or request a hearing to challenge the recommendation. He's expected to fight it, and with so much money at stake, it could get ugly. As The Daily Telegraph revealed after the bombshell news was dropped last week, there was no specific clause in Folau's contract about social media posts, but he had been left in no doubt about what was expected of him after the fallout from 12 months ago. "There was a number of documented meetings that were put in writing, both verbally and in writing, to Israel about our expectations," Castle said. "Yes, he agreed to them. "We had an agreement of where the line in the sand was." Rugby Australia's sponsors have made it clear they're unimpressed by Folau and his former teammates have distanced themselves from him even though some privately share some of his religious views, but just don't post them on their social media accounts. "This is not a religious discussion this is a discussion around the employee-employer relationship and the values and the contractual arrangements with that agreement, and that's on the basis on which we have served him the breach notice," Castle said. "They can use their large social media followings and their positivity to do so many great things for the sport and 99 per cent of the players do that in this way. "It's really simple, it's a simple line."